Dancehall deejay Furtyle Brain tried to use shock-value to gain more recognition in the genre but seems that didn’t work out so well for him. The deejay has removed the surgically implanted goat horns that catapult him to Ripley’s Believe It or Not. Sources told Dancehall HipHop that the horns were causing him severe headaches so he opted to do another painful surgery to remove them. “It was causing him a lot of pain so the right thing to do is to remove them it’s just not worth it,” sources said. Furtyle Brain, whose real name is Kenardo Robinson, hired a Canadian-based surgeon to perform the surgery in Jamaica. 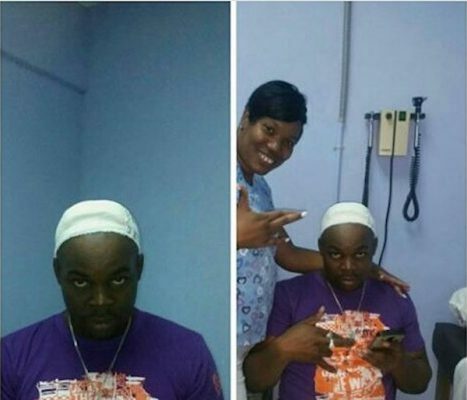 The up-and-coming dancehall artists says he received a prophecy from god instructing him to undergo the surgery. “I do believe that I got some form of prophetic instruction by God. I didn’t do this alone,” he said. Over the past couple years several dancehall artists have resort to using shock-value to boost their careers including Vybz Kartel bleaching and Alkaline eyeball tattoo which turned out to be fake. 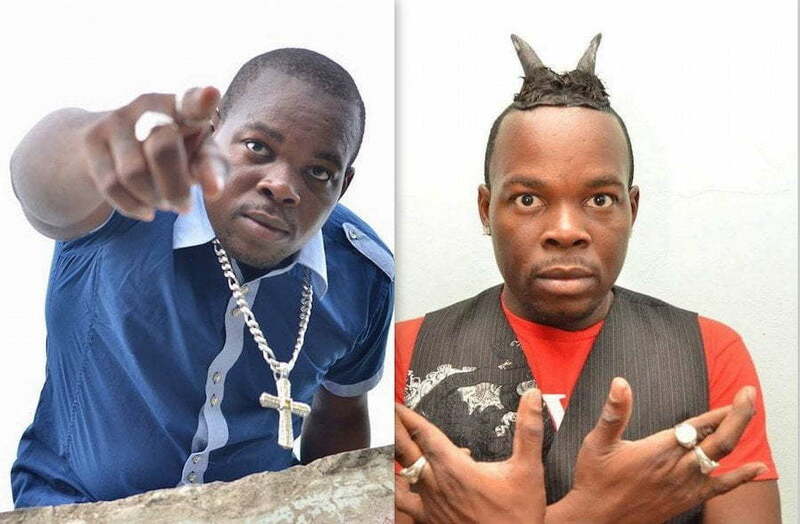 Controversial dancehall artiste Furtyle Brain is sure to get a second glance wherever he goes these days, whether it is the drive through window at the local fast food, in the supermarket or at a dance promoting his latest single because of the goat horns sticking out of his head. Furtyle’s new horned look is a guaranteed conversation-starter. “Is not a cult, is a culture, a new look for dancehall. When people see it, dem say it shot, it bad. Nuff people keep stopping me, taking pictures with me, it shot, dem ah ask if a Halloween. Some people think it ah implant, some people ah hairstyle, and some people say a cult, but the way we brain fertile, horn grow through it. Ah Furtyle Brain yu know,” he said. The artiste has a new buzz in the streets with his new mixtape dubbed ‘The Wickedest Lyricist’. The mixtape is chock full of crowd-pleasing club bangers like new singles, Wickedest Lyricist on the JK4 Music Group, and Moneyology for Jones Avenue Records on the Speedometer riddim. Dancehall fans are also responding to the hard-hitting Pocket Money for Andrew Blacks of UIM Productions on the Ebola riddim. “The Pocket and Moneyology ah go the hardest on the radio, mi phone blow up when mi hear, everywhere mi go, people say mi find it. The reason mi name Furtyle Brain is that mi brain give birth to words, dem no premature, dem no sound simple and dem no seem couture, but dem full a features like vehicle from Singapore, so when mi use one word, yu gal think a four,” he said, laughing. The confident youngblood has been building a decent underground following with his high energy performances at local stage shows in the Kingston Metropolitan area. “Last year, we try go hard but we realise nothing that you do won’t work until you have God inna it, and this time, mi consult the Almighty before mi mek any move,” he said. Born Kenardo André Robinson, this Montego Bay native hails from a relatively humble background, growing up in a one-bedroom house in the community of Tuckers, St James. When he left high school, he invested his money in a business venture where he supplied concessionaire services to different companies within Kingston. But despite, the success of this venture, music still captivated him. “I want to change the world through my music, change how people think and make the society a better place through my words and influence, that is why I am building a new movement to change things” he said. The movement is called Bomber Side Movements. “Mi feel say 2015 year ah go be my year, it ordained, and mi just a put in the hard work fi mek it a reality. Don’t try against the Bomber Side, all tomatis, new artiste, who claim dem want a bus, we ah build a studio fi dem underneath a truck. Don’t rise against no artiste from the Bomber Side, mi affi run the place from I am alive” he said.